High quality, durable riding equipment is my Achilles heel. I love it. I skimp on my wardrobe, as my last post definitely pointed out, but love to pamper Gem with great tack. I adore my new saddle, so there isn't much to monkey with there and at this point I'm not even thinking about tempting fate on that. Finding a saddle that fit Gem was so insanely difficult, I was near the point of breaking her to drive instead. Now that I have the Advantage I am finally at peace with that. Having purchased the used demo saddle instead of a new one, I had some money to play around with. The Fusion Jogging boots, new red mohair cinch and red sheepskin seat cover were acquired and have been working out great. She looks fantastic in her new get up. 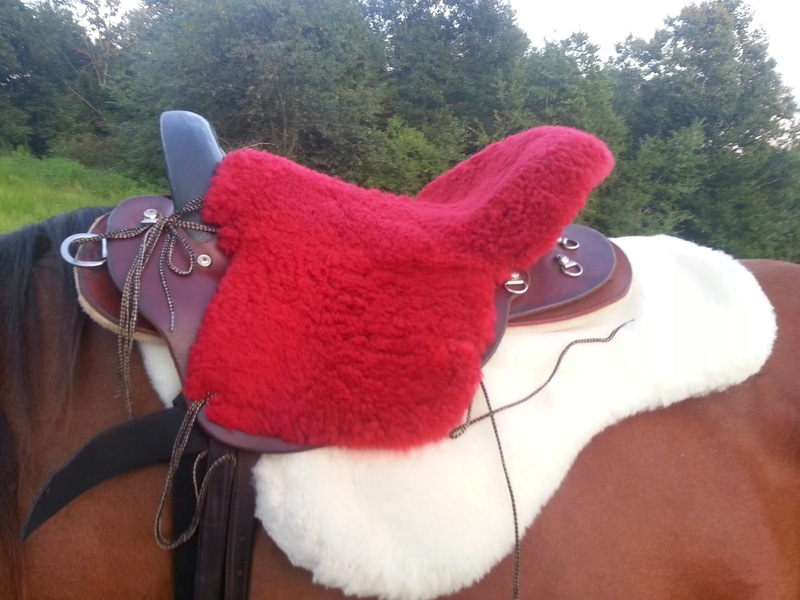 I also purchased a wool saddle pad and it finally arrived this week. The quality is amazing. Thick and luxurious with no seam on the underside and pockets on top for shims if needed. I was drooling over the ability to ride in something so soft and couldn't wait to get out on it. Tuesday night I headed out, but forgot the new pad. It was a good thing too because that ride was amazing. She was calm and cool beyond her normal spooks at logs, branches and big rocks. No hissy fits and no rushing. The sun was beginning to set, the heat of the day was easing up and we got a great work out in. Gem trotted and cantered up the hills and in the back hay field without going crazy and we enjoyed each other until the sun went down. It was very humid out and she worked up a good sweat. 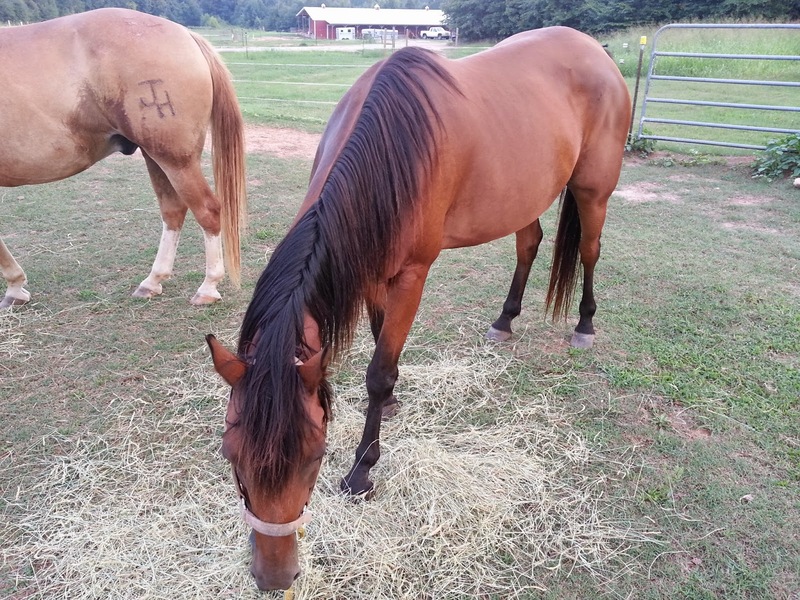 I left the barn feeling so content and happy with all things and that is exactly why I have a horse in the first place. Thursday came with the opportunity to head back to the barn and this time I remembered to grab the new pad. I was running low on daylight with W staying up later (until close to 7 pm now) and the sun giving up on us earlier, but I could get a little bit in. She wasn't too pleased to see me so soon. I tacked her up and fell in love with the pad. 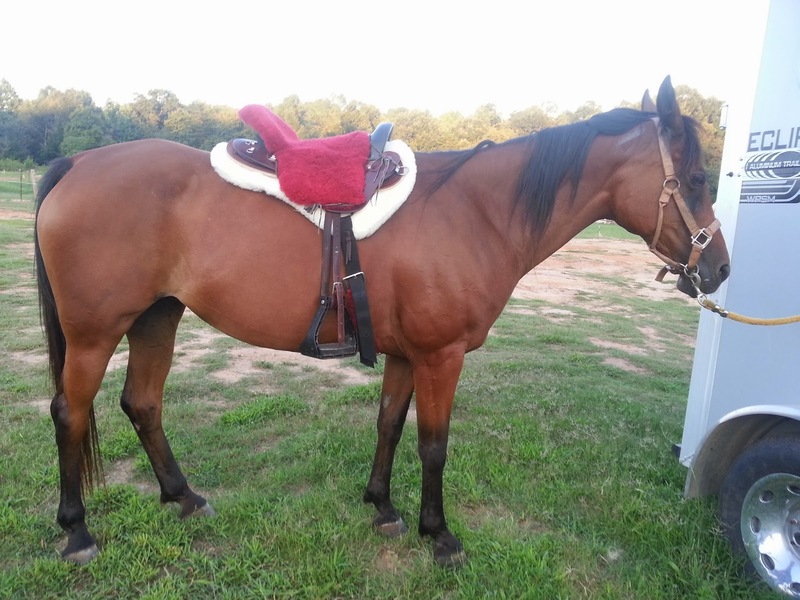 It fit the outline of the saddle perfectly and she looks sooo darn pretty in it. 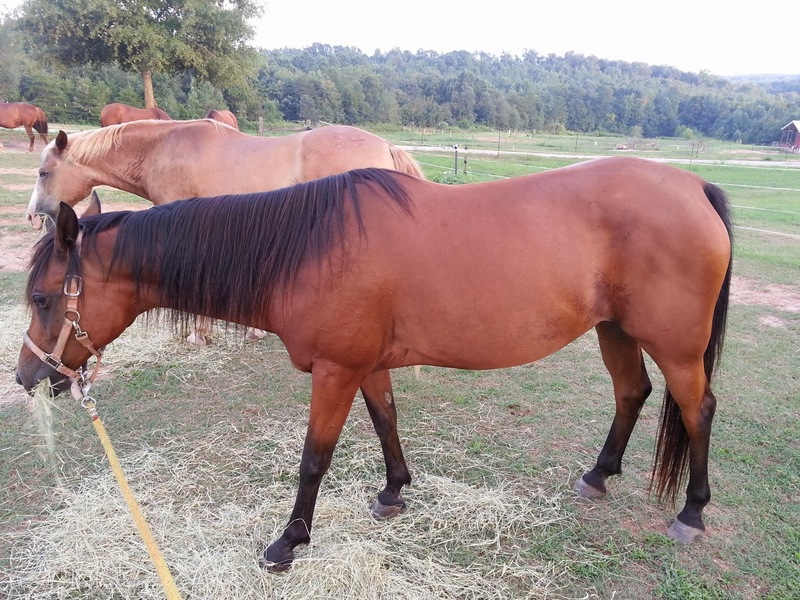 Very classy with her nice bay coloring and the brown/black saddle. I swung my leg over and really could feel the difference in the saddle. It felt way more cushioned and I hoped Gem could feel the difference too. I wanted to get in a lot of down hill work since in the past that has always been my tack nemesis. 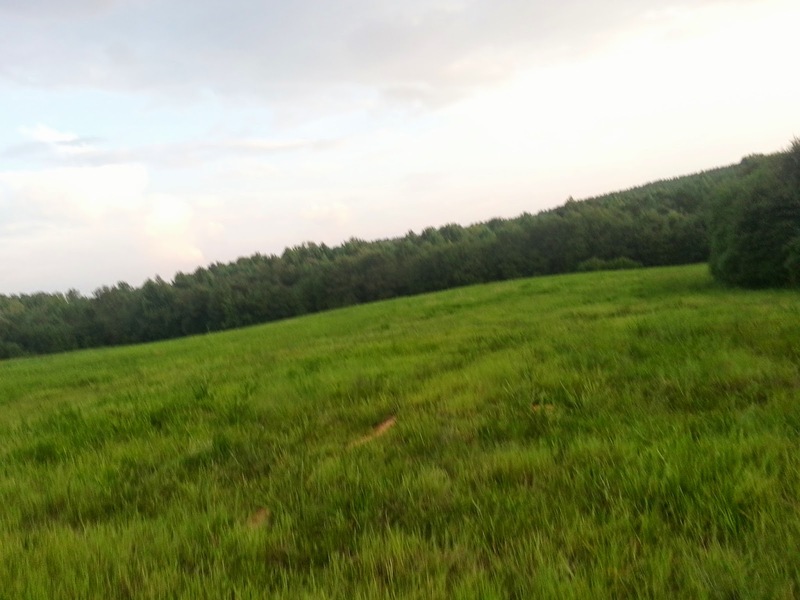 We headed up to her pasture then down the long hill to the hay field and down the hay field to the woods. Through the woods, back to the hay field and on up. We trotted or cantered the majority of it. I was really enjoying the feel of the new pad and Gem was moving out well in the beginning. Coming up the hay field at the end she started really acting funny. Almost like she used to in her old saddles where she just didn't move out quite as freely and was holding back. I looked down and then immediately jumped off her. The saddle has slid a little forward although not nearly as bad as in the past with other saddles, but the bigger problem was the pad creeping out the back under the saddle. I was disappointed to say the least. There are no loos/girth savers on the pad and I tightened the girth like always. It wasn't loose when I took it off. I shot off a quick email to Katee at Advantage saddles asking her for suggestions. I really don't know what to do to fix it. Anyone with a wool pad and experiences like this? I don't know if she would take it back. I only rode 12 minutes, but with horses everything gets dirty after only a millisecond on them. It is washable and I plan to wash it if I return it or have to sell it. Since this isn't working I will need to be on the search for a new pad. Any suggestions? Anyone want to buy this one? Would Advantage maybe be able to add girth loops to the pad you bought? 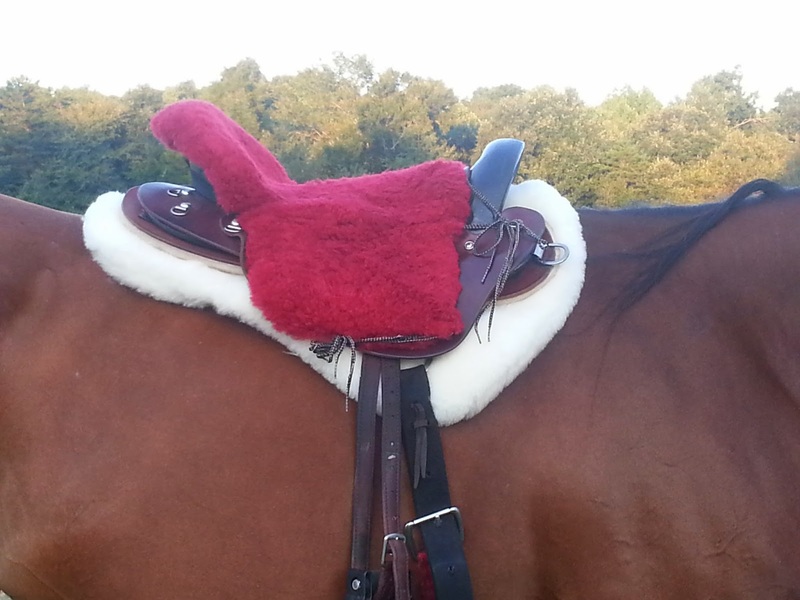 Saiph - yeah, I got this from Advantage specifically for this saddle and it really is a great pad. I think it is just a bit too thick and too slick for her. 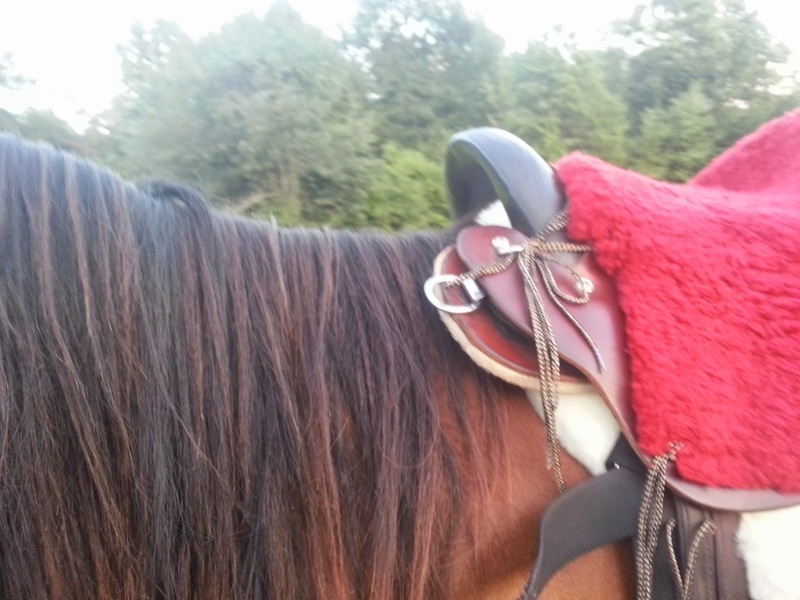 I also think the saddle doesn't fit 100% perfect, but she has yet to have a single issue in it, so I refuse to change out. 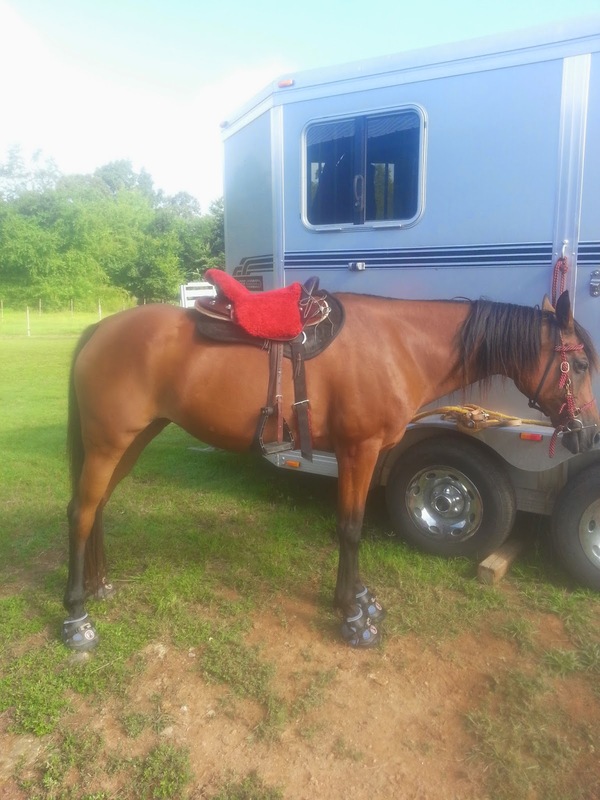 The reinsman pad I usually ride in is just a bit too short which is why I am trying to find a new one. I am worried that the Woolback will be too thick as well. Thanks for the links! I will look into the Matrix pads, but the price means I have to sell this one first! A friend of mine has a Coolback that I am going to try out and see if it works. I asked Katee if she had suggestions and she recommended putting holes in the front of the pad and tying it to the front D-rings. I'd rather just sell it and move on rather than punch holes in it and ruin any chance of selling it. Woolback? I don't really have a recommendation outside of sewing on your own girth straps. The big wigs in endurance love woolbacks. The only reason they get ditched for other things is because they can add so much weight - which for the big riders who also compete in FEI is a fault. Wool is totally where it is at though. Q has never had an issue with hers and is proving to be quite sensitive to other things! Liz - that's why I tried a wool pad! I see everyone with them and the logic makes sense to me. I think this one is just too thick for the saddle. I've spoken with others who ride in the Advantage and they have all told me the saddle fits better with a thinner pad. I am going to look into the Woolbacks, but I worry they will be too thick. I'm not worried about weight although I like to keep things lighter if and when possible. Thanks for reading!